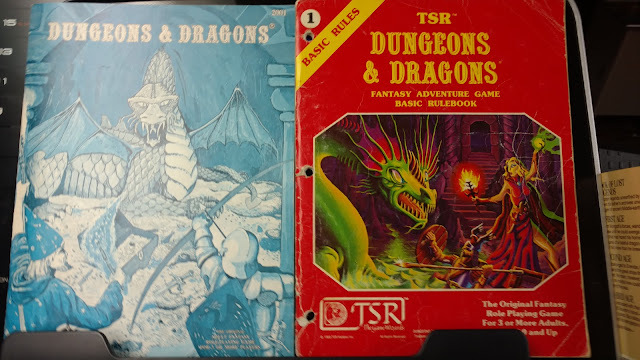 There is no doubt that Stanger Things gave D&D a boost. 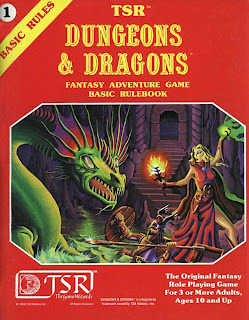 D&D 5th ed was already doing great and was on its way to being the best selling version of D&D ever before it became a major feature of the highly popular Netflix show Stranger Things. 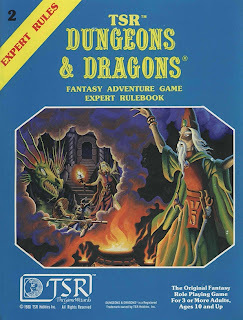 When Season 1 premiered I had adults my age (who would have been the same ages as the kids in ST at the time) coming to me and asking how they could get a D&D game for their kids. 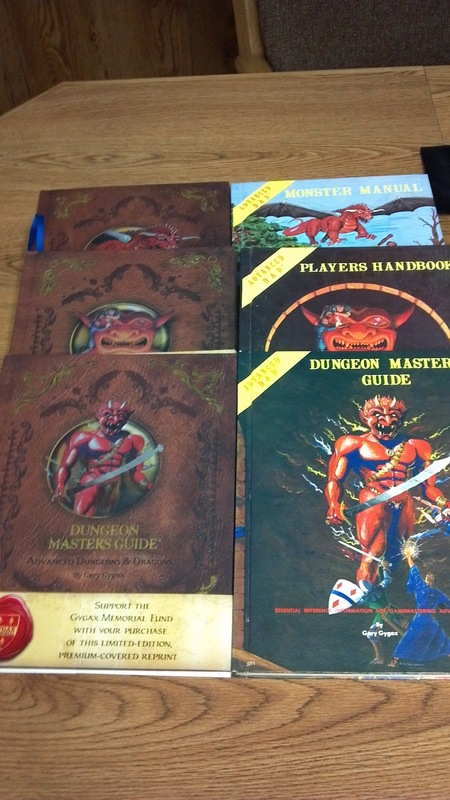 Well, I wish I had had this boxed set at the time. The new Dungeons & Dragons Stranger Things Starter Set is making it's way to retailers now. 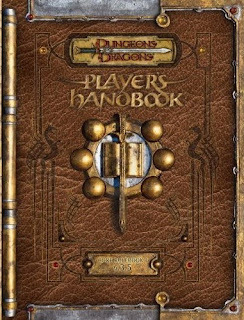 I picked up a copy on Amazon (to donate to my son's D&D club at High School...yeah they have now) and getting another one from my FLGS. Truth be told I don't *need* it, but it sure is fantastic! Done up like everyone's favorite red box D&D this is a starter set for D&D 5th Edition. 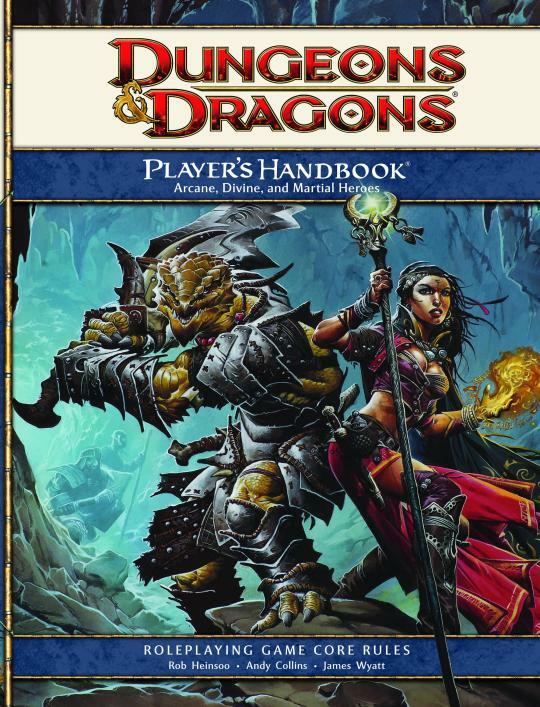 And it is PERFECT for anyone that is a fan of the show and wants to learn how to play D&D. It does have the Wizards of the Coast logo on it, but also the "Hasbro Gaming" logo which is new. Also since this is being sold not only in game stores and Amazon it is being released to Game Stops (the video game store) and other markets. 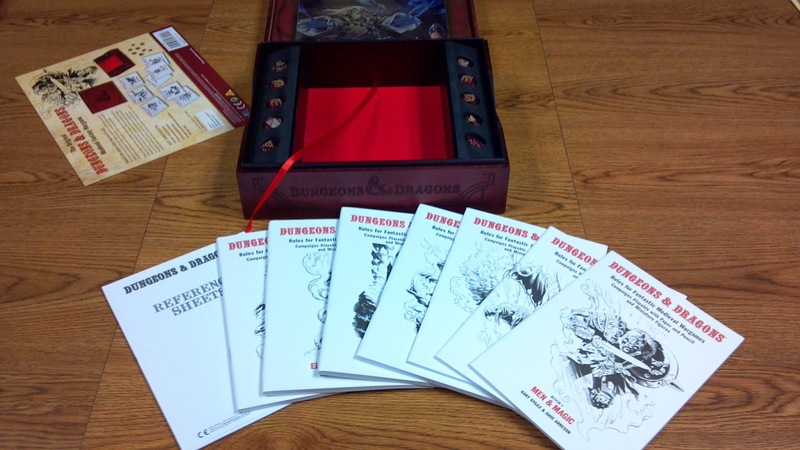 Hasbro is serious about backing D&D and I think it is going to be a huge win for them. The box set includes a basic rule book similar to what we got in the first D&D 5e Starter set. We also get an adventure "Written by Mike Wheeler", character sheets, a set of dice (mine are exactly like the ones I got in the Starter Set) and two "Demogorgon" minis; one painted the other plain. This book gives all the basics of D&D in 44 concise, full-color pages. Everything is here to get you started. 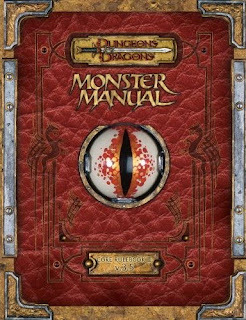 How to play, the basics of combat and adventuring, a chapter on spell casting and a subset of magic items and monsters. Pretty much what you expect in a "Basic" set. Instead of art we get some screen grabs from the ST show. 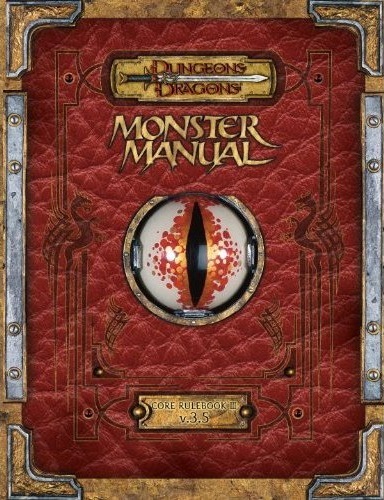 There are stats for the Demogorgon monster (not the demon). Ok, truth time, I LOVE this. I want more adventures like this. 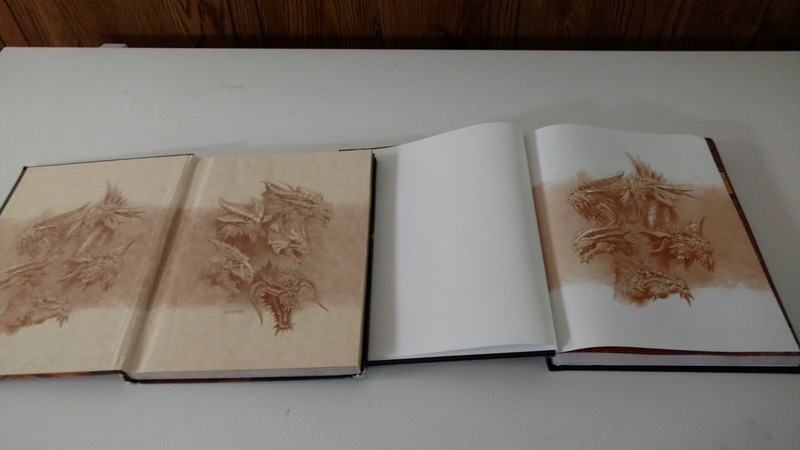 The sample adventure is done up to like a notebook written by Mike from the show. Complete with wide ruled notebook paper background and Jr. High style art (only much better). D&D artist Stan! is behind this one and I could not be happier about that. 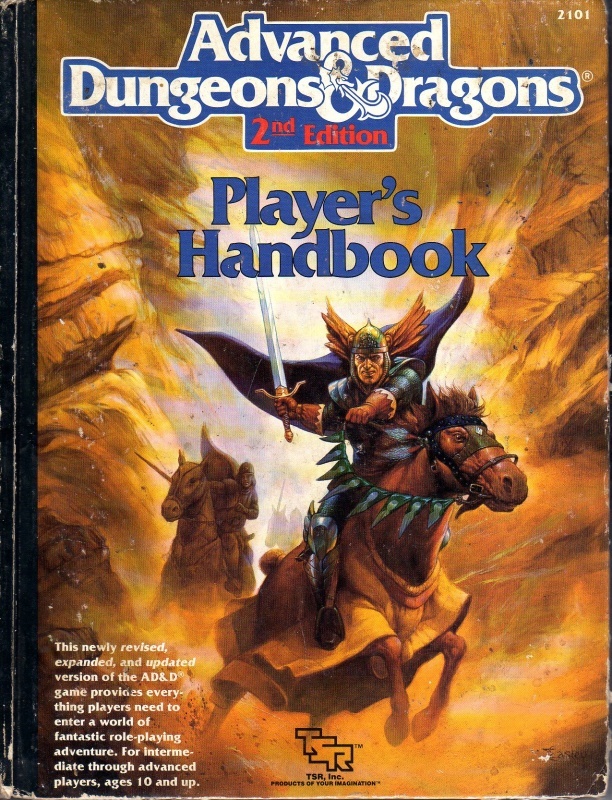 The adventure is as old-school as summer 1983. You have a quest, a knight a monster to defeat, a table of rumors. Troglodytes! 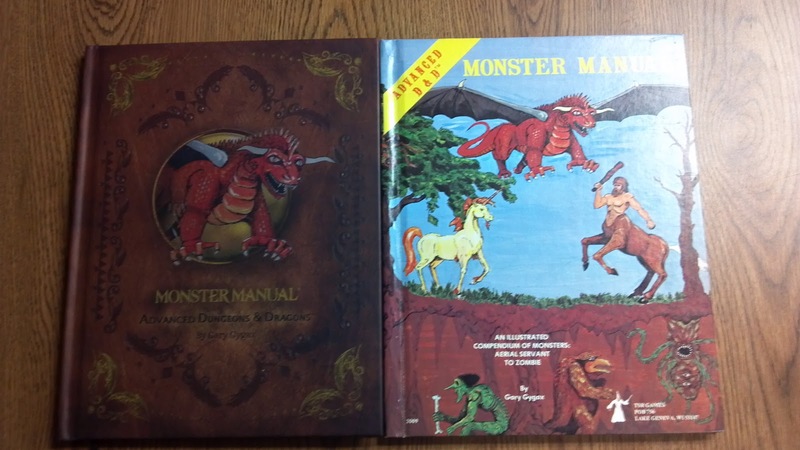 (art takes it inspiration from the Monster Manual) and random encounters. The adventure is not ground-breaking, but it is not supposed to be. BUT it does take place in the "Upside Down", so that is cool. They describe it a bit like the Shadowfell, but no attempt is made to make it part of the larger D&D 5 cosmology and that is perfectly great by me. There is even a sword from the Upside Down. And no Refrigerator Aleena in this one, there is a Proud Princess that will aid the characters but they can't even harm her if they try. She is obviously the Eleven stand in. These are all stand-ins for the kids on the show, more or less, We get all the major races; elf, dwarf, human, half-elf, and half-orc. No halfling though. 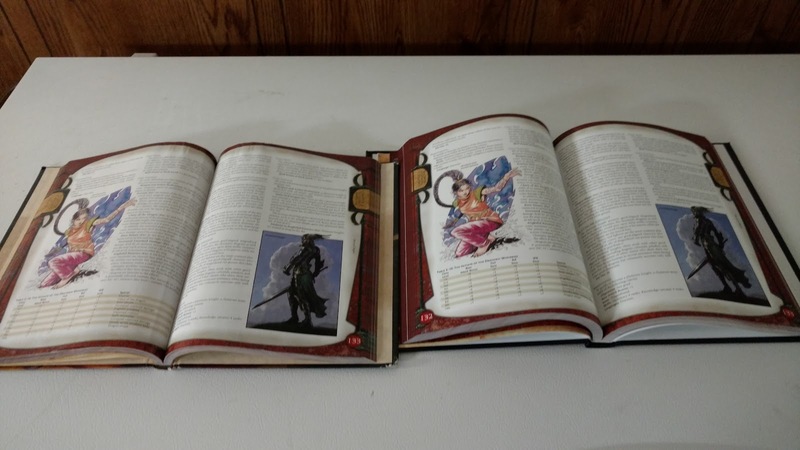 And a good subset of classes; bard, cleric, paladin, ranger, wizard. But no straight up fighter or rogue. A halfling rogue (or maybe a zoomer!) would have been a nice touch. No names or genders on the sheets as it should be. The dice a pretty standard, same set I got with the other starter set. 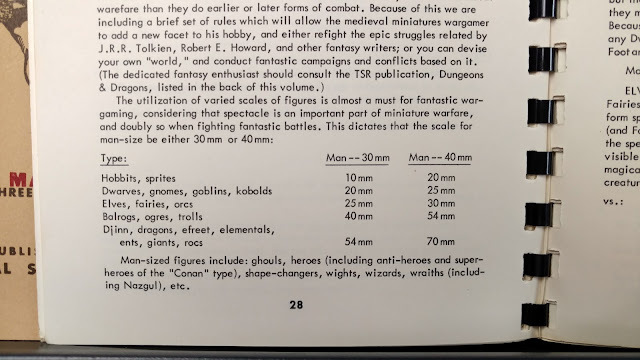 There are only six (as were in old-school sets) so no d%, there is a standard d10 (and d4, d6, d8, d12 and d20). The Demogorgon minis are the weakest part of this set. The minis are the right scale but the plastic is really flimsy. The "painted" one only has a little bit of orange on it. These are not the Wiz Kids minis we get at game stores, these are made by Hasbro and appear to be made cheaply so they can make tons of them. 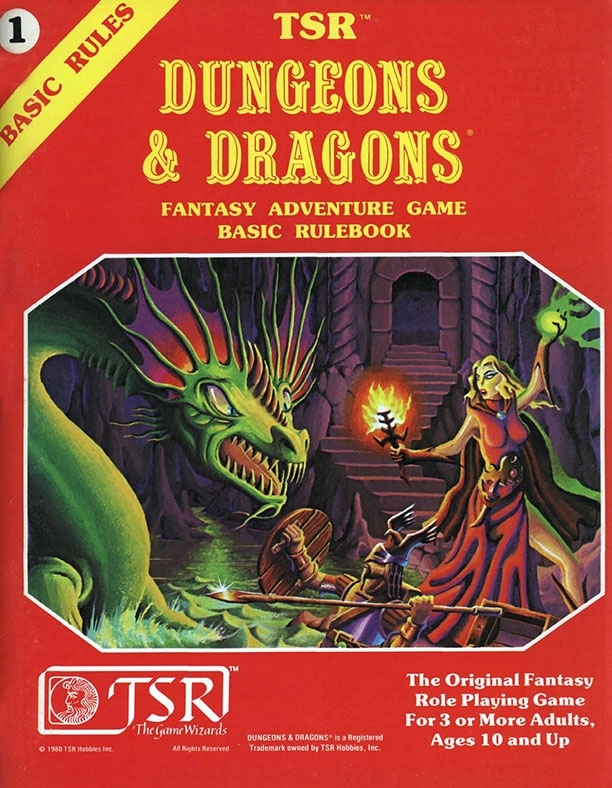 But really, this box hits all the nostalgia boxes AND is still a solid introduction to the D&D 5 game. Note: Part 1 is here and more discussion is here. Well I have one kid down sick and another I had to rush to the ER because he cut off the tip of his finger. (Both kids will be fine). But that, of course, means no weekend gaming report. What I did though was give a little more thought on what my Middle Earth game might be like. I know there are some perfectly good Lord of the Rings/Middle Earth games out there. 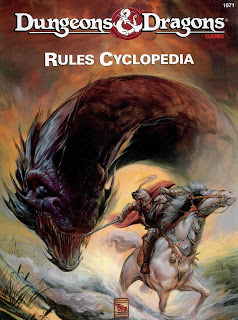 I played MERP in the past and I was one of the playtesters for the Cubicle 7 The One Ring game. I will talk about those at a later date. There are also some other games that others have let me know work well for Middle Earth. I might touch on those too, no idea yet. 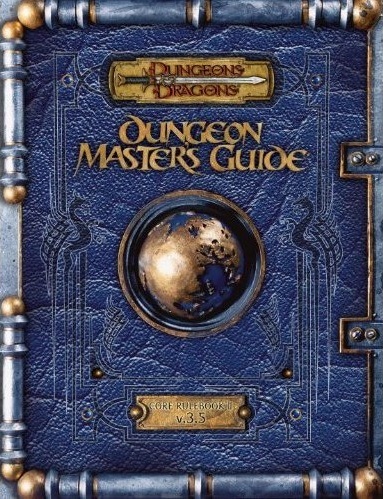 One, Rolemaster, intrigues me because it is not the sort of game I normally would do with RM. No. Today I want to talk about something I have wanted to do forever. D&D in Middle-Earth. So per my normal weekend-game prep I set some books up on the old-treadmill and went for a run. 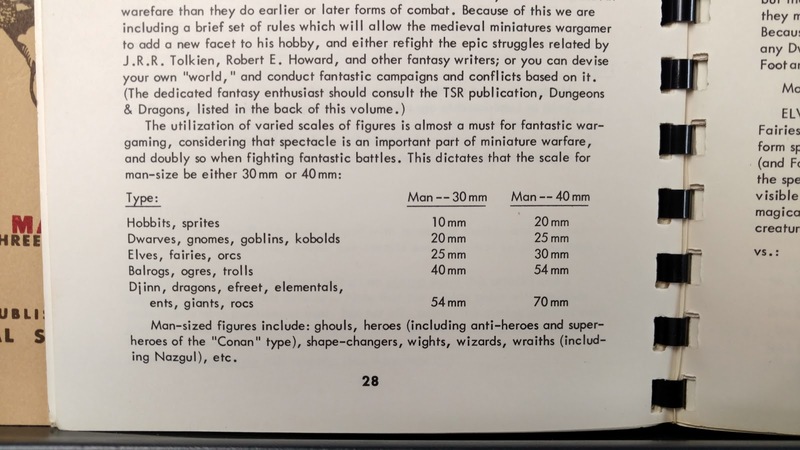 I think by now we all know that the effect of Tolkien on D&D has been purposefully diminished over the years. The reasons are varied (and various) but largely seem due to avoid more legal issues. 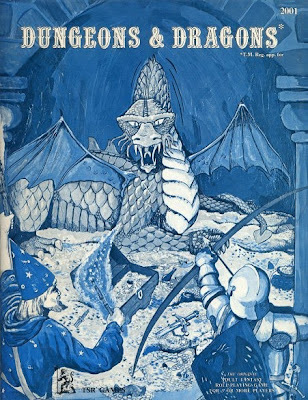 The evidence is there that Tolkien did have an influence on D&D. 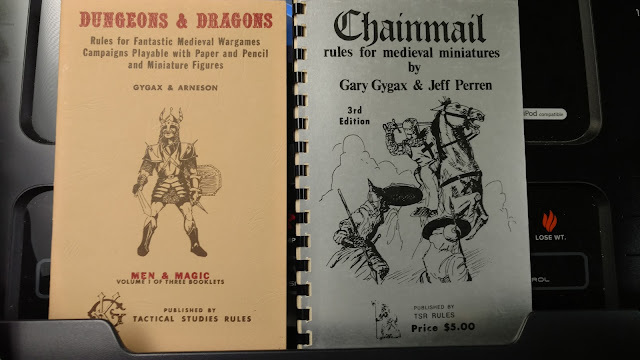 Here is my copy of Chainmail with the Fantasy Supplement. So here we have "Hobbits", "Balrogs" "Ents" and even "Nazgul" among the standard "Elves" and "Dwarves". 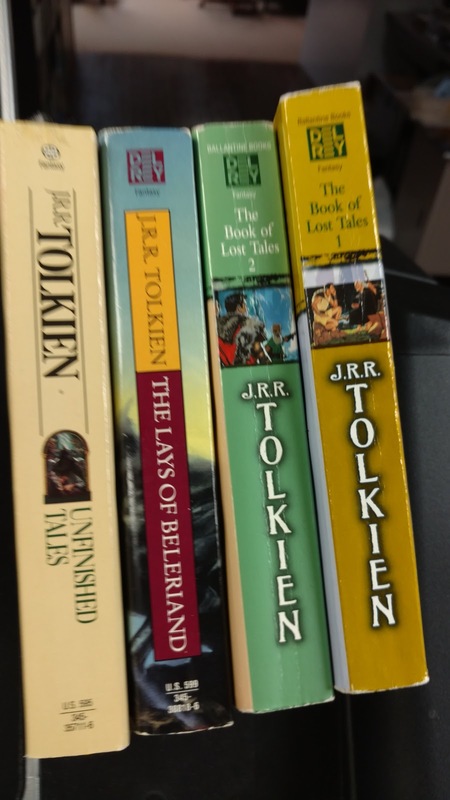 These were scrubbed from later editions. Regardless of all of that, it brings up my first candidate. Original D&D. 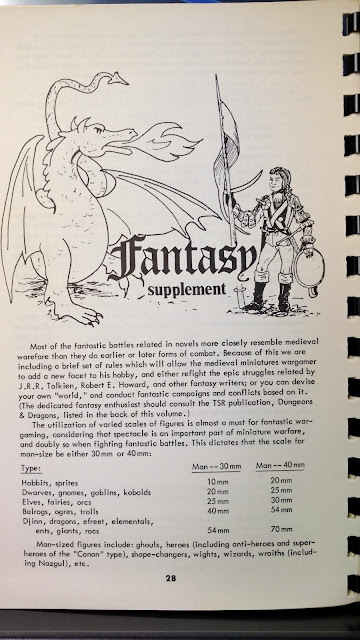 OD&D has a LOT going for it. The rules are really stripped down, the class selection is few and the overall power level is what I feel represents the average to high-level adventurers in Middle Earth. 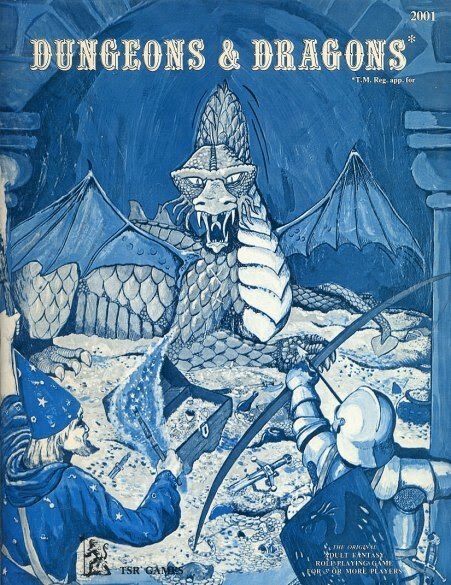 Despite wizards, dragons, and rings, Middle Earth is a low magic setting. Even great swords like those forged by the elven smiths in Gondolin are at best what, +3? Nothing like a vorpal sword, or even a sword of sharpness. 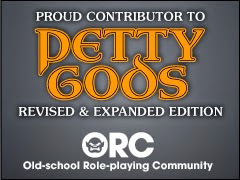 OD&D does this really well. 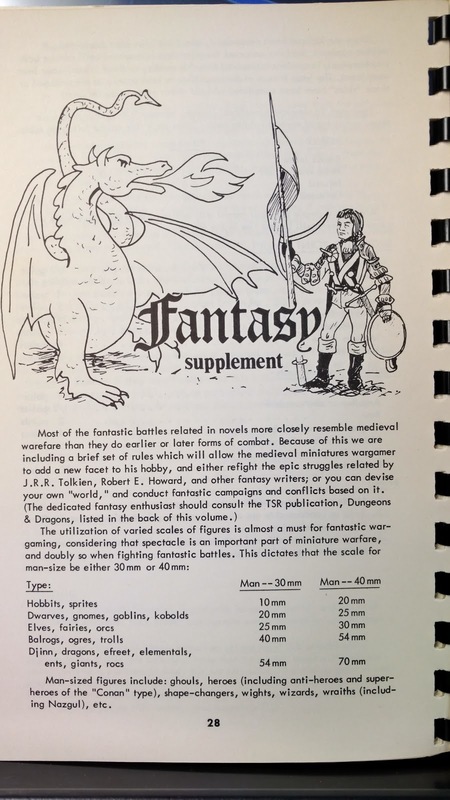 The biggest issue I have with OD&D is that I already had a grand experiment with it. 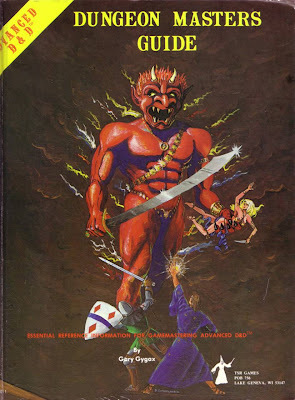 Back in 1988 I spent a summer playing in an OD&D campaign with rather mundane characters; 3d6 in order, no substitutions unless an ability was lower than 7. Now don't get me wrong, I enjoyed the hell out of that game. But I am not sure if I want to do that again or not. Naturally, I thought, maybe Basic D&D is the way to go. 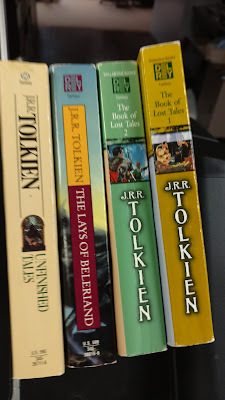 I am planning on limiting my Middle Earth game to just 10th level. If I throw in the Expert set I might go to 12. Here again, there are a ton of compelling reasons, for me, to use this. 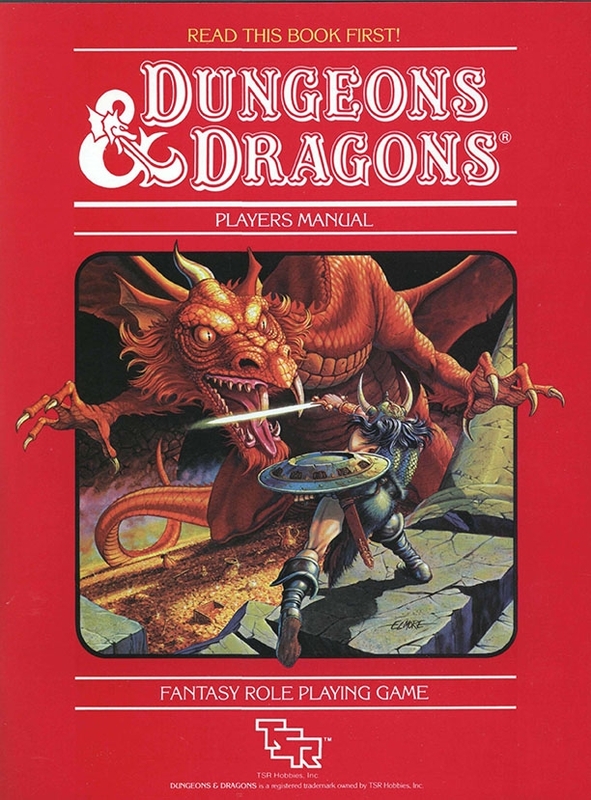 I love Basic era D&D. I can do so much with it. I also even think that race-as-class would work; except for a halfling burglar. While I really wanted to stick with something pure D&D at about the 1-mile mark I came to a realization. The game I want does exist. 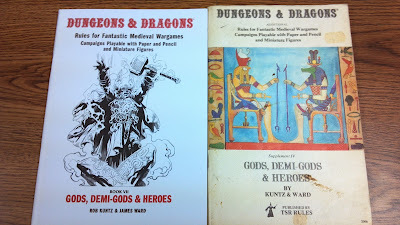 It is OD&D like. Limited to 10 levels. And has the feel I Want in a game. 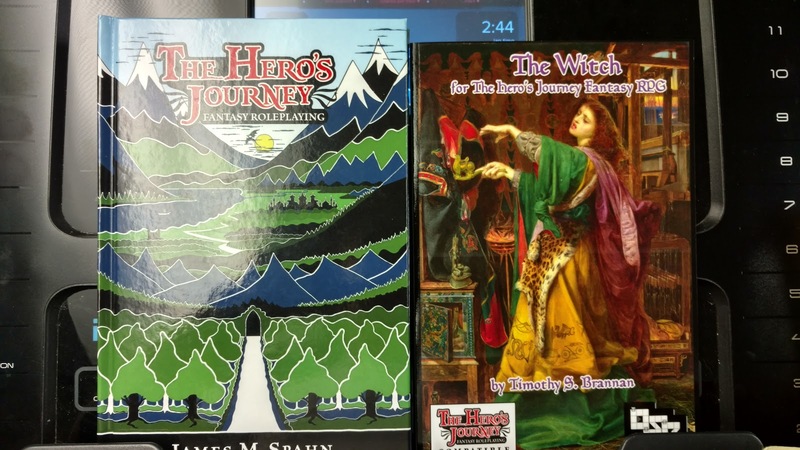 It is +James Spahn's The Hero's Journey Fantasy Roleplaying. Hero's Journey is James Spahn's love letter to the Hobbit and the kinds of adventures inspired by it. This is not a grimdark game so it would fit my needs perfectly. 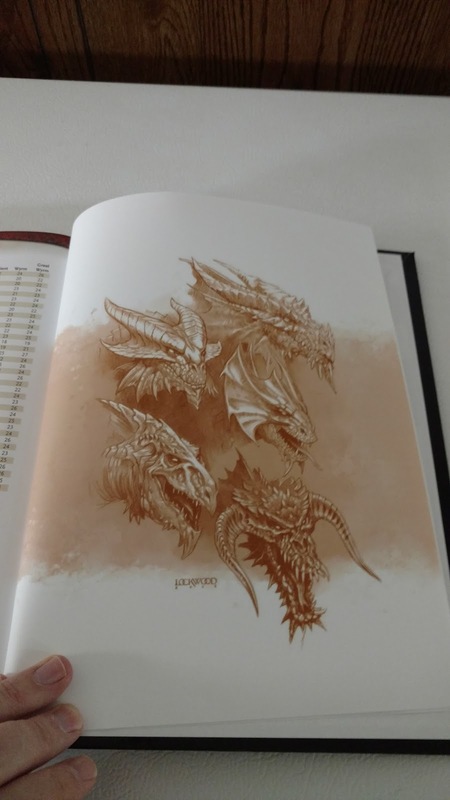 Plus James has worked on Cubicle 7's Adventures in Middle Earth RPG so he has the background to pull it off. Now. I have no idea if I would include my own Hedge Witch in this. She doesn't really fit, but I pulled my book anyway to see. Hero's Journey not only has the feel I want, but it also has the classes I am looking for. 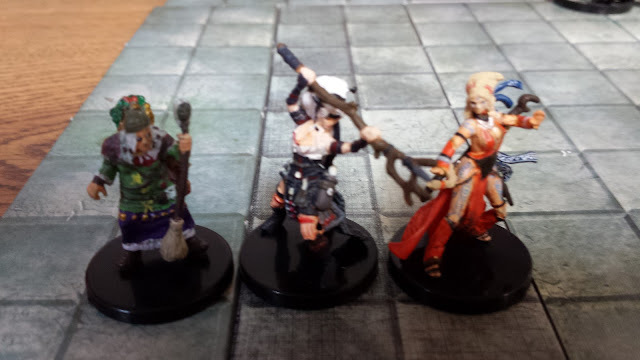 While I am not likely to use OD&D/Basic/HJ's Wizard or Magic-user at all, I do see a spot for the cleric. Only instead of serving gods they the scholars of Arda. Plus we will need some healing magic. I think I am going to come up with a basic character concept, maybe even a couple, and see how well I can create them in these games and selcted Middle-Earth dedicated games. Obviously I will have to use a young hobbit adventurer, a dwarf fighter of some sort maybe an elf and a human too. This won't be a long-term or even a serious campaign, but one I can run when I have the desire to do something light. Just need to find a time to set it all in. I am thinking at the start of the Third Age or maybe near the end of the Second Age. Today is Tuesday so that means new releases. 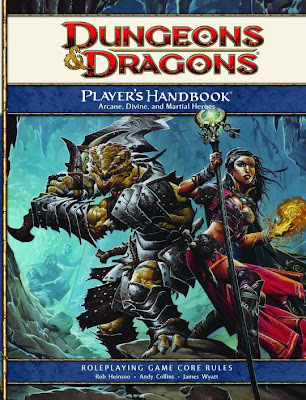 Wizards of the Coast has some new classic D&D books up for POD today. Be sure to check them out. 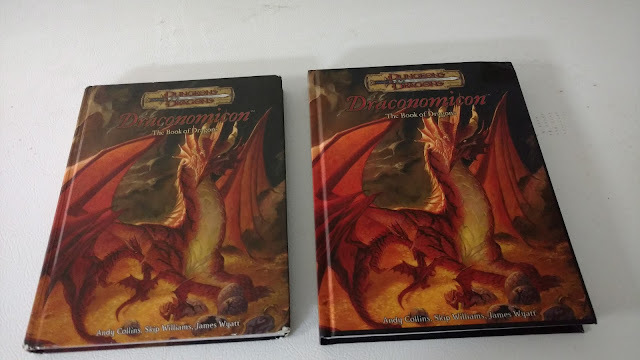 Today I want to compare the POD 3e Draconomicon to the one I bought my son when it first came out. A bit of background. The Draconomicon is a watershed book for the Brannan family. I got it for my son because he loved dragons. Still does really. 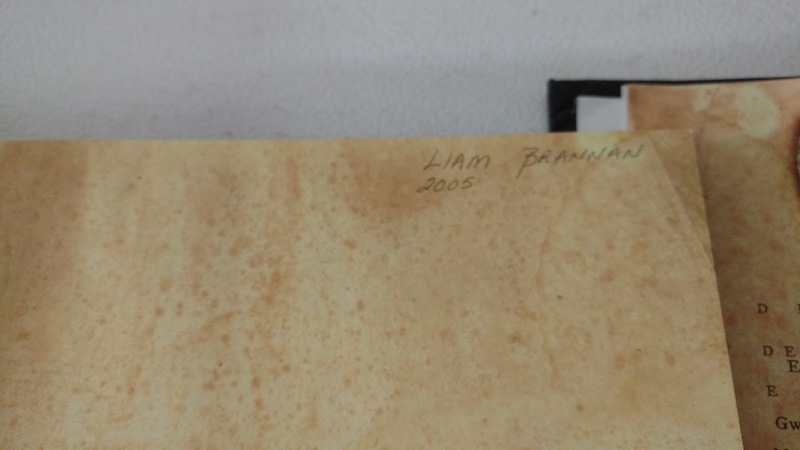 Well he carried this book with him everywhere for years. Needless to say it is in pretty bad shape. 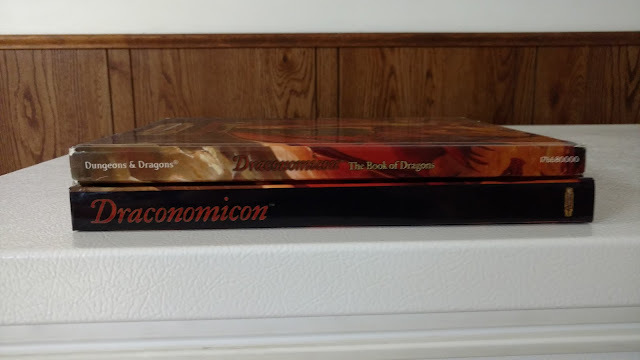 I have wanted to get him a new one for years and I have seen many at Half-Price books and of course at my FLGS, but none have jumped out at me saying "buy me". 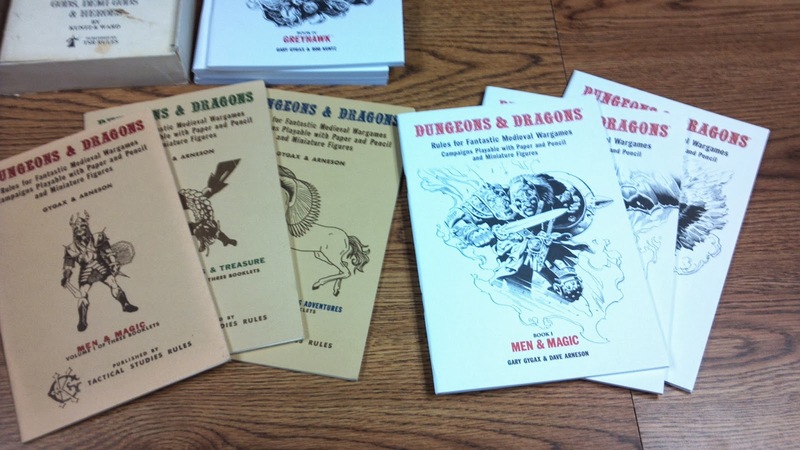 We I opted to spend some of the money from the sales of my own books on the POD version. 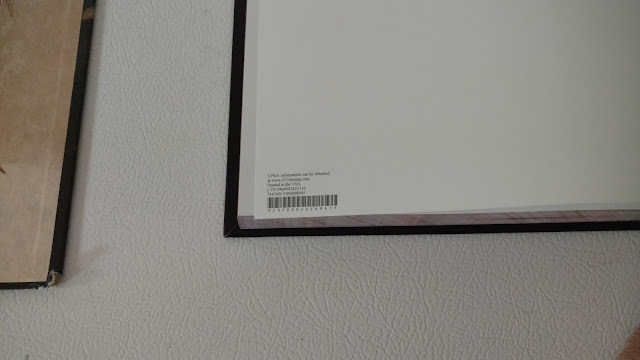 I splurged and got the "Premium Heavyweight" paper. In the pictures the original print in on the left side of your screen, the POD on the right. Side by side it is hard to know which is which. The art on the POD version seems a little bigger. You will notice there is a spot on the bottom where the cover doesn't quite make it to the bottom. I have seen this before on other books. Sometimes it prints like this other times it doesn't. The Heavyweight POD is noticeably thicker than the original print. The POD does not have the dragon art printed on the inside cover. The images are repeated in the original printing but only one of each in the POD. The POD actually looks more interesting. Inside the books are remarkably identical. My son was 6 when I got this for him. He carried it to school for two years straight. This is the LightningSource/OneBookShelf page added to all the books. So no chance someone will mistake these for originals if they know to look for this. 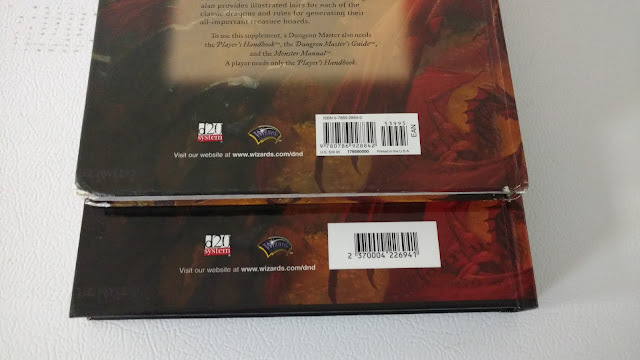 Equally, the original features an ISBN barcode. The the POD has a different one that is not an ISBN. The spines are also very different. This of course is by necessity to accommodate the varying thickness of the paper choices. In all I am happy with it. It doesn't look like my original, but that is fine with me. It makes it more of a "new" book in some respects. Yes, just like the original I am giving this to my son for Christmas. Don't tell him. Did a little bit of gaming this weekend. 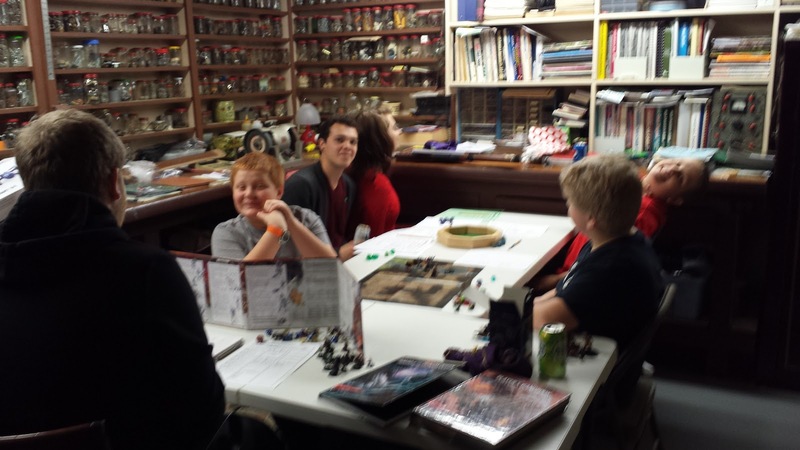 My son got to play some Mongoose Traveller with his other group. 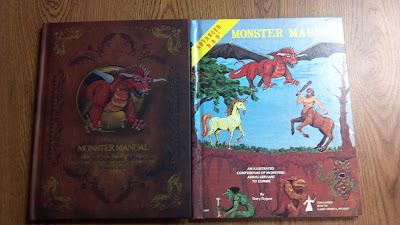 Here at home we started up a new D&D 5 game set in the Skyrim universe that my oldest is going to run. So far it's a lot of fun. We are hunting down the murderer of the Emporer and have managed to hit level 2 already. I also got a desire to dust off an older game and give it another go. It was a lot of fun back in the day and I have been itching to do some more with it. No game this past weekend. I wasn't feeling great and my son was at a birthday party. 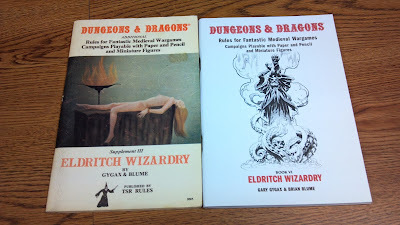 I was thinking about Friday's post on the witches of Rahasia and of Ravenloft and it occurs to me that D&D lacks in iconic witches. There are great examples of Vampires, Liches, Wizards, Priests, Paladins, Rangers, enough Thieves to fill a guild, even Bards. The witches in Rahasia are one thing, but the ones in Ravenloft don't even have proper names really. Pathfinder does a good job with their iconics. Feiya is a proper witch, but even the sorceress Seoni is often referred to as a witch. 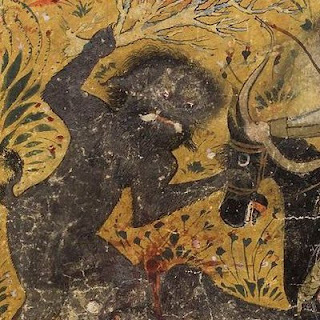 Not to mention all the witches to be found in Irrisen like Queen Elvanna. I have my iconic, Larina. But she appears mostly in my Pathfinder books. 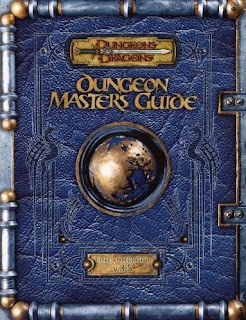 Who do we have for D&D? Well for starters and maybe the most iconic is Iggwilv, the Witch-Queen. We also have Elena the Fair, Witch Queen of Summer. Also, while not as a well know or even explicitly a witch is Skyla. 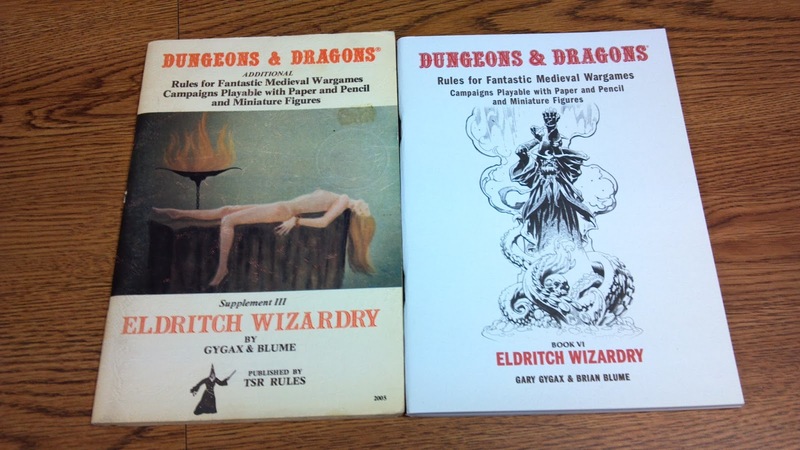 There is also one witch that both D&D and Pathfinder share, Baba Yaga. There was also Koliada, the Winter Witch. a Level 26 Solo Skirmisher from the 4th ed era adventure "Winter of the Witch". But there is not a lot out there about her. 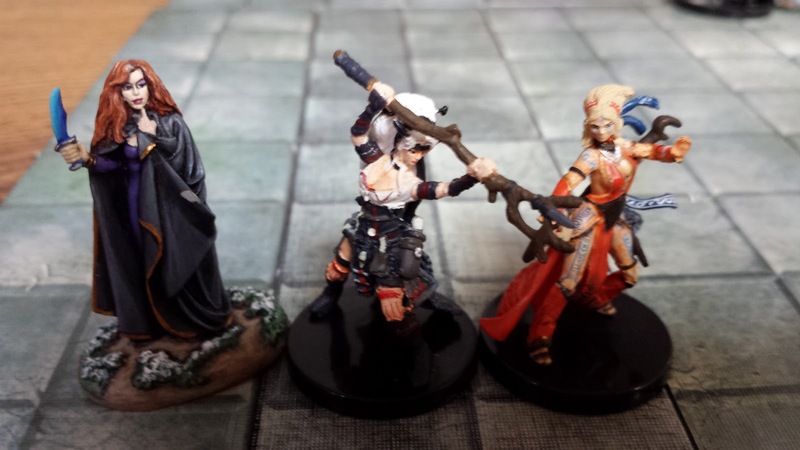 Interestingly Pathfinder also has a lot Winter and Cold related witches. Dungeon Crawl Classics gives us Lady Kyleth, The Witch Queen. Personally I'd love to see more. There might be more, I just haven't found them all yet. It's been busy time this Christmas. So far I have gotten a lot of gaming in. 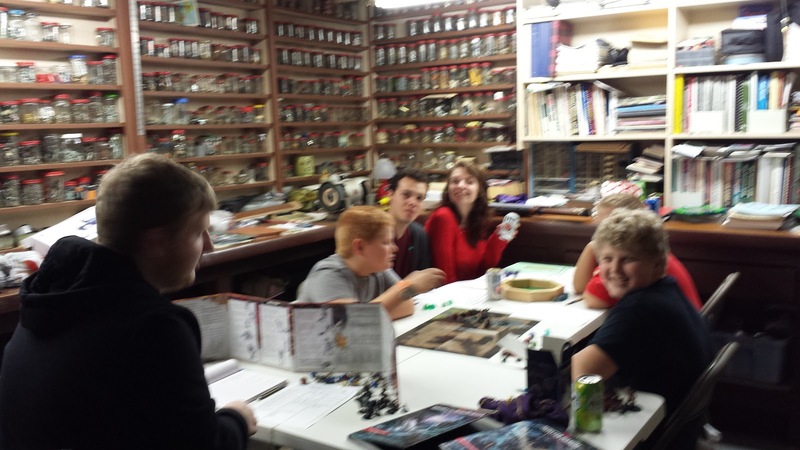 We went to my in-laws to see my wife's sister and her kids and my kids brought out D&D. I got hit with some allergies and could not run, but my oldest decided to run some games. 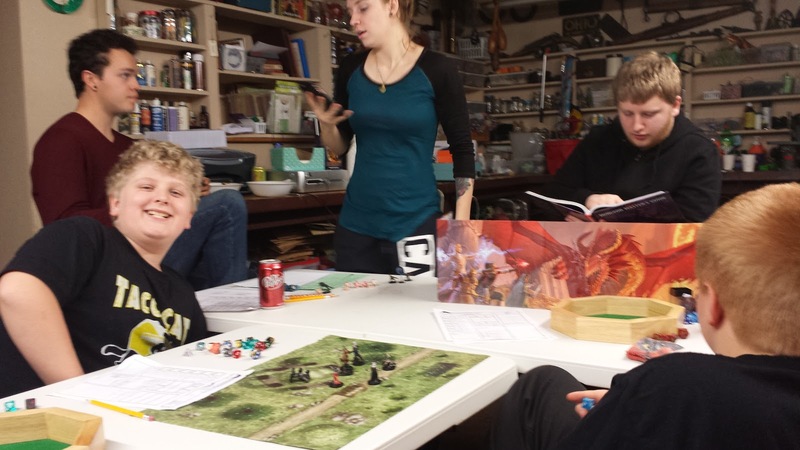 He got both of my nephews to play some D&D 5. They had a great time. 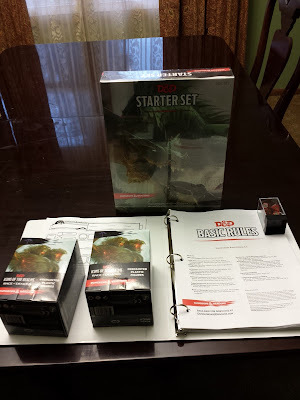 So great in fact that I went out got them some dice, minis, a Starter Set and the Basic Rules. We went back out to visit and Liam ended up running Hoard of the Dragon Queen. Instead of Tiamat he used his own creation, Aži Dahāka. It went fantastic. Really fantastic. Even their other cousin and her boyfriend joined in for a couple of sessions. They had such great time that the brand new Xbox One went largely ignored. Not to bad really. So I got 4 new people into gaming this holiday. How did you do? Still feeling pretty sick today. But I was looking over some of my adventures I have laying around and I noticed a theme. 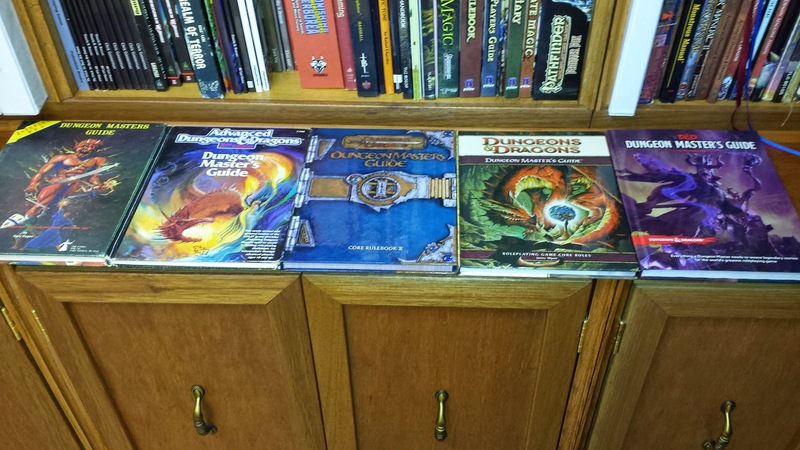 For 1st Ed I have the Bloodstone Wars modules. For 3rd Ed I have a bunch of stuff from Necromancer Games. 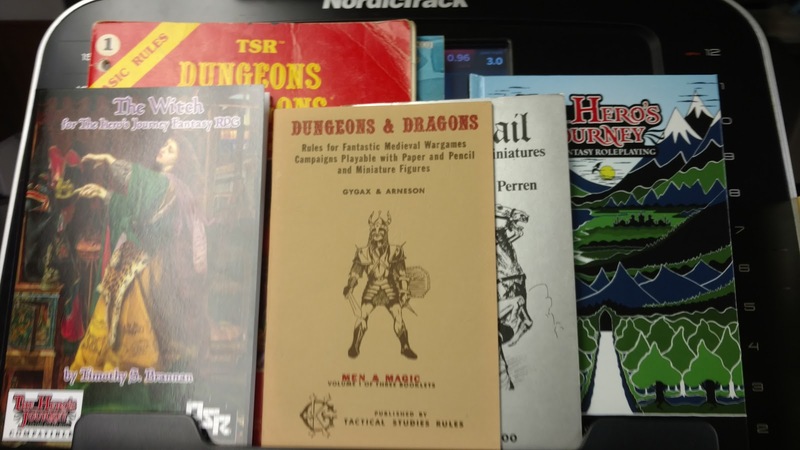 For 4th Ed I have the HPE series of nine modules. 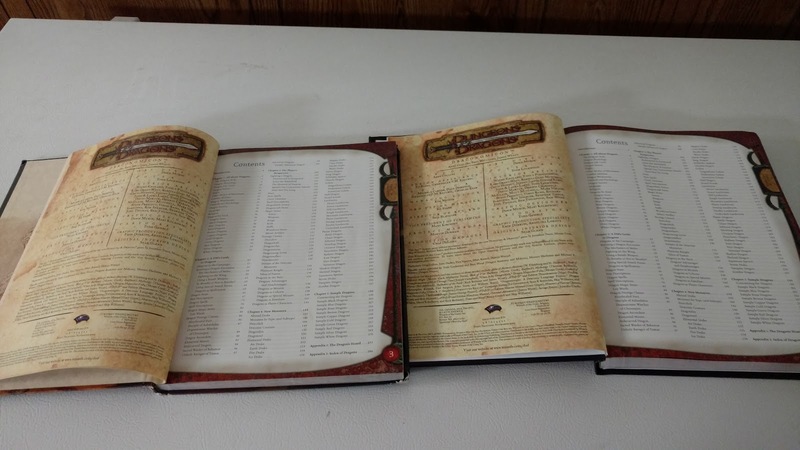 And now for 5th ed I have Into the Abyss. Looking pretty damn scary in his new 5e form. Well, in the broadest terms they all deal with destroying the Demon Prince Orcus. Or at the very least stopping his machinations. I mean, I get it. 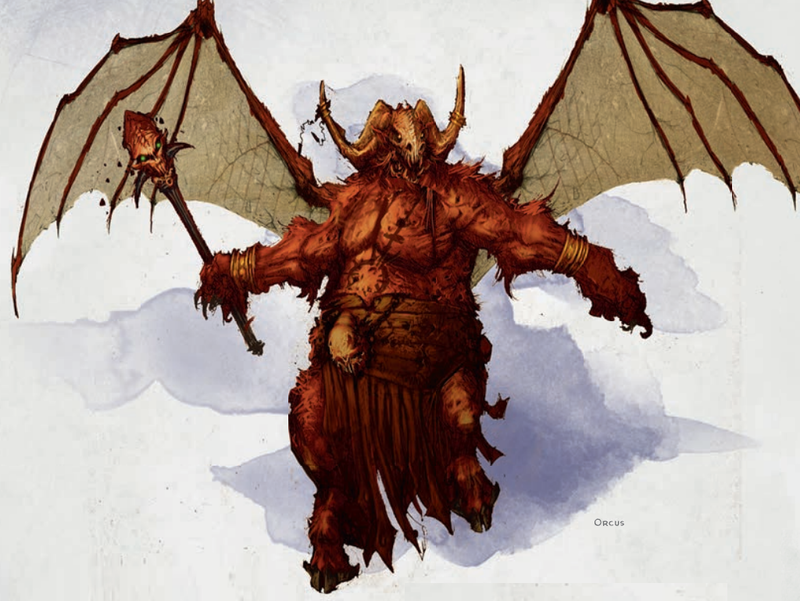 Orcus is the most metal of all the demon lords. Back in the day we gleefully killed him in H4 Throne of Bloodstone. 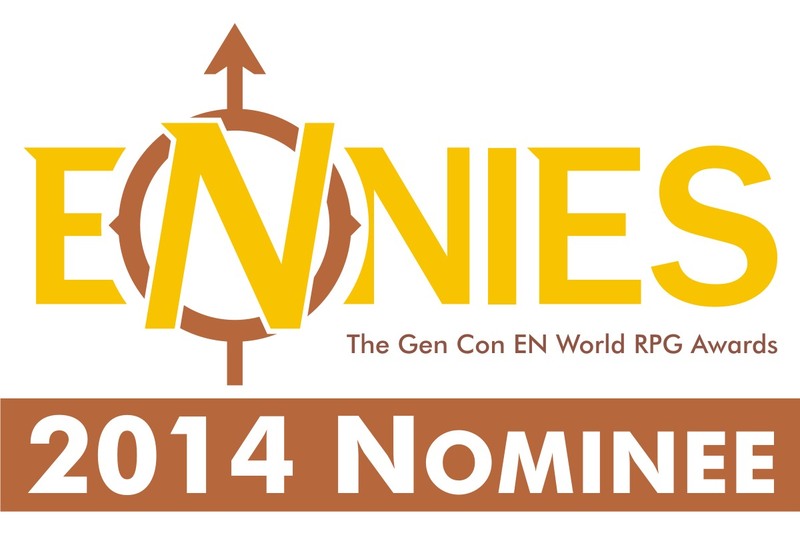 I was looking forward to doing it again under 4e in E3 Prince of Undeath. So there is an allure. So how about you all? 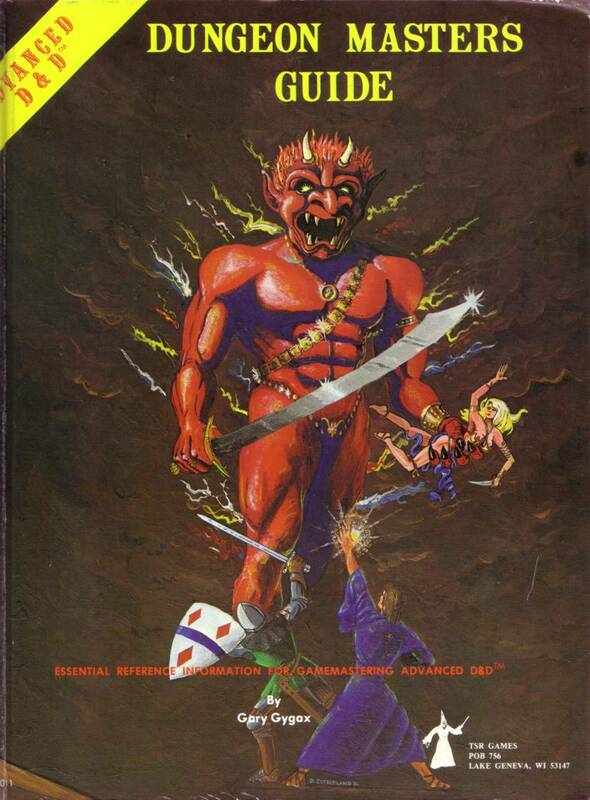 Did you ever run/play a game where the PCs went after Orcus? If yes, what adventure did you use? If no, would it be something you would consider? Bonus question. Why doesn't Demogorgon get any of this attention? Hard call. It really is a toss up between my home brewed Mystoerth campaign world for *D&D or Victorian England. 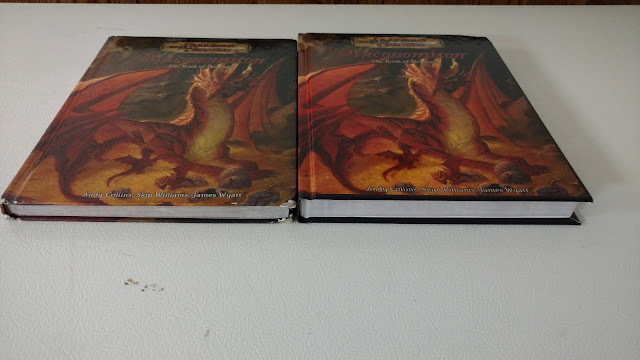 Mystoerth grew out of a need for my then DM and I to merge our worlds. He was a huge Greyhawk fan (as was I, but less so) and my world was the known world of Msytara. We did not call our world Mystoerth. That name as far as I can tell came from +James Mishler and +Rich Trickey. Rich made that nice map. It has worked well for me over the years. No question. 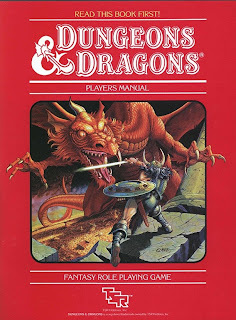 Dungeons and Dragons.